First of all, we must select the File tab in order to move to the Backstage View, and then from the left of the drop down menu that appears we select the category Account at the bottom of it. Once selected in the middle of the window, we can see all the information about our Account. All we have to do is to select the Office Updates button and from the drop down menu that appears we select the command View Updates as shown below. 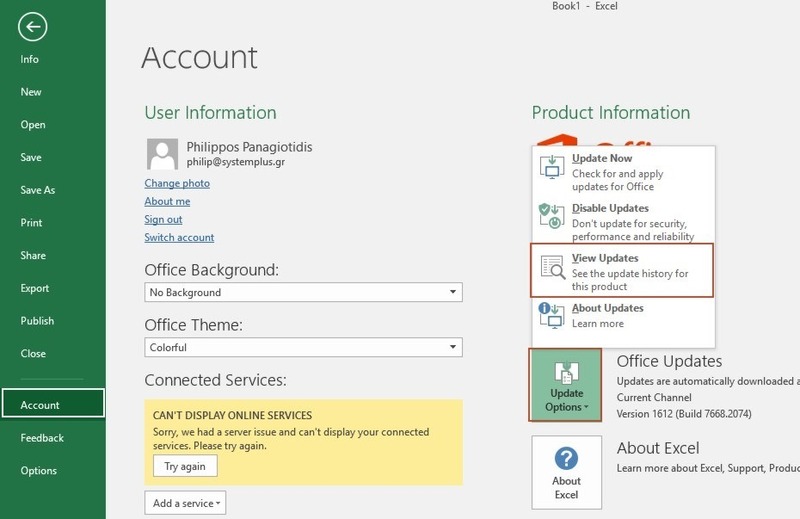 Another way is to open our Explorer and follow the link here: Office Updates. Once we have selected the Office Updates command, where are transferred to the Web Page: 2016 For Office 365. In this page we can see all the Monthly Updates that Microsoft provides us for Microsoft Office System. All we need to do is to locate the area where it mentions Visit the Office Training Center and select the link to be transferred there. All we must do is to click the application that we need to have Training Lessons and we will be transferred to the corresponding course. As mentioned above, in this post I will briefly go through Microsoft Excel Training courses. So all I need to do, is to click on the Excel icon. We only have to click on the Course that we want, and we can see the actual lessons in order for us to become experts. In the next screenshot, we can see more Courses that are available for us. In the next image I have selected the First Lesson that I mentioned above, where at the left we can see the Lessons that are part of the Course and the order that they will follow. In the middle of the web page we have the actual video that contains our Lesson. All that is left is to press the Play button. In the next image, we can see another lesson that is available for our education. That is it. Very helpful, very understanding and very educational. Do not hesitate to visit the Course that you need. 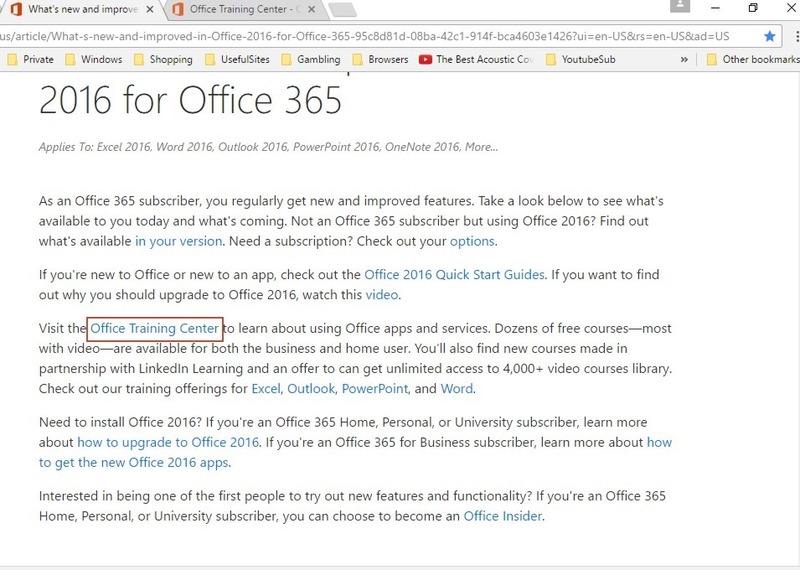 Below you can check out the video describing how to Visit the New Microsoft Office Training Courses.